the moment the Scott enters the room. Your guests, not knowing what to expect, are anxious with anticipation and gather as a symphony of sound and color announces the show. 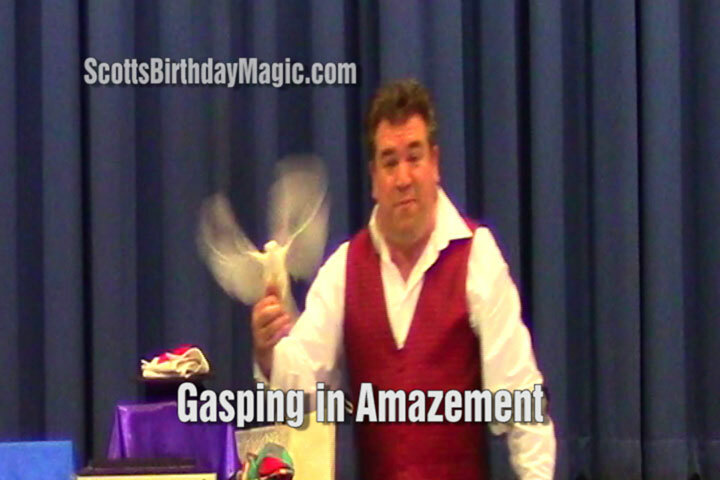 Nothing spurs guest's wonder more than an illusion drawn from thin air. Doves will appear from nowhere, rabbits will pop up in the most unlikely places, but the lasting magic will be in the amazement you see in the eyes of your guests. As your guests become part of the show, their laughter and gasps of astonishment will create photo opportunities that everyone will want to preserve, post, and frame for many years to come. Your guest of honor, the main celebrity in Scott's show, will be blown away by the excitement being displayed at the party you're giving them. 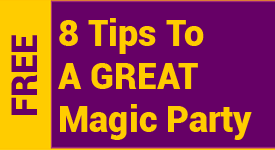 A party beyond their imagination and other party goers will talk about and always remember. If you would like to chat to see if my show's a fit for you, please call me at 718-556-3430. ...otherwise, please fill out the form below to check my availability. I look forward to hearing from you!